There’s very little that’s more depressing in life than having to work during the holidays. Even if you don’t happen to celebrate the particular holidays that are occurring, your coworkers probably do. And they’ve probably taken off work for them, leaving you all alone. This can be a debilitating experience, since having to work when no one else is around can be stressful and frustrating, to say the least. Pictured: All my friends and coworkers, who absolutely did not leave me all alone to spend time with their families and loved ones. It can feel like you’re being singled out or treated unfairly. And what’s more, the lack of oversight and overall inaccessibility during this time of your coworkers can make it tough to get your work done during these times at all. But hey, don’t stress! We’ve got some tips to help you put a little spring in your step while you wander the empty halls of your place of work, desperately looking for a printer or any sign of civilization. One thing that’s easy to forget is just how predictable empty office times typically are. You and your coworkers are likely not allowed to take off work without at least a few weeks of notice, and most people plan out their vacations several weeks or even months in advance. These vacations tend to be around major US holidays, so even if for some reason you aren’t privy to the exact dates that your coworkers will be out, you can get a pretty good idea by just looking at a calendar. This is a useful way to prevent yourself from ordering magicians for impromptu office “magic days” that only you end up attending. Get all of the signatures or other related input you might need for that week taken care of ahead of time. Odds are pretty low you’ll be able to get them once no one else is around you. Make sure you have some kind of system set up to deal with any kind of approvals or other miscellaneous check-ins you usually require while working — while it’s possible some coworkers might check their emails or Slack once in a while, most will probably avoid doing so entirely. What sort of due dates tend to fall during the time that people will be away? What needs to be done by others before they leave so that YOU can finish your own work? Both of these questions should be discussed with staff members before they go on vacation to ensure that you aren’t stuck with more than you can handle. So once you’ve done the prep work and have the office to yourself, what do you do then? A lot of the time that you usually waste on meetings or interacting with coworkers is going to be cut pretty short unless you plan on holding the meetings with just yourself playing the role of all of your coworkers. Clean. Clean your desk, clean office shared spaces, clean anything you can think of. Unless you work for a very large company, this kind of work tends to be done just by you and your coworkers, who are usually too busy to do so themselves. 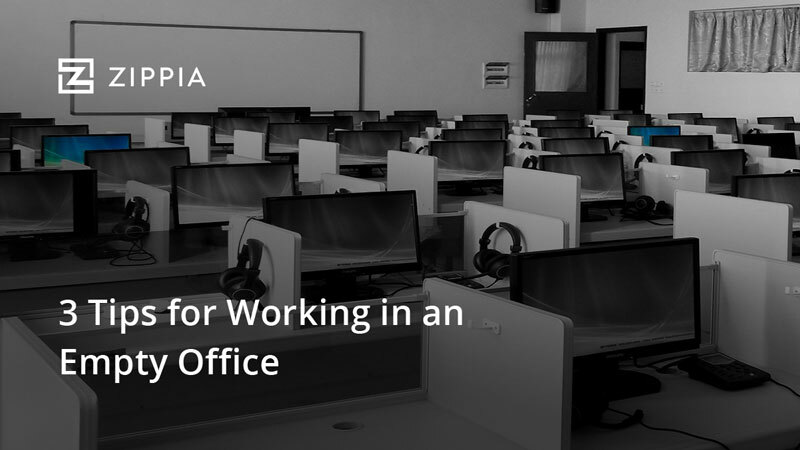 Fixing up your own desk will give you at least some satisfaction, but cleaning shared spaces gives you something to lord over your coworkers for weeks or even months to come. Catch up on emails. Given how few emails tend to arrive during the holidays, now is the best chance you’ll have all year to tear your inbox to shreds. Answer as many as you can and see if you can get your total number as close to zero as possible. Do the work that you usually can’t do because someone, let’s say Greg, normally won’t stop interrupting you long enough for you to finish. That long report you were supposed to read? That massive article you’ve been trying to finish writing? Take some time to concentrate directly on one of these huge tasks, and take advantage of the fact that Greg is off on a dangerous skiing vacation from which (who’s to say?) he might not even return! Of course, the above ideas are for when you actually care about being efficient or productive while you’re at work during the holidays. But say you’ve already finished your work? Or perhaps you haven’t yet finished your work, but you don’t really care to do so? Maybe you’re a little resentful of the fact that you’re at work during the holidays? Maybe it’s even your explicit intention to get as little work done during this wretched holiday season as you can possibly get away with? We’re not here to judge! Merely to assist. Listen to music! Maybe your boss lets you do this ordinarily via earbuds, which is nice if so. But Reign in Blood by Slayer is a very different album on headphones than it is reverberating out over a panoply of empty office chairs and wall-pinned Dilbert cartoons. It’s an experience, is what we’re saying, of which you should not deprive yourself. Watch The Great British Baking Show. Well, technically, you could stream any old show if you’re just trying to kill time. There are a lot of programs you could stream on Netflix or some other website (if your office router blocks Netflix). But honestly, there’s only one GBBS, and any other show you might watch instead is just going to make you angry at the fact that you’re not watching The Great British Baking Show. So do yourself a favor and watch it. Watch The Great British Baking Show. Do it now. Take a long lunch. Heck, buddy, take a really long one. Start lunch at 9:45 am and come back at, like, 3 or something. Do some yoga. Stretch out. Meditate. Stare at a wall. Scroll through Facebook. Watch high-speed Youtube videos of people cooking desserts. Whatever you need to do to de-stress and prepare yourself for the return of your wonderful coworkers who you definitely don’t hate. 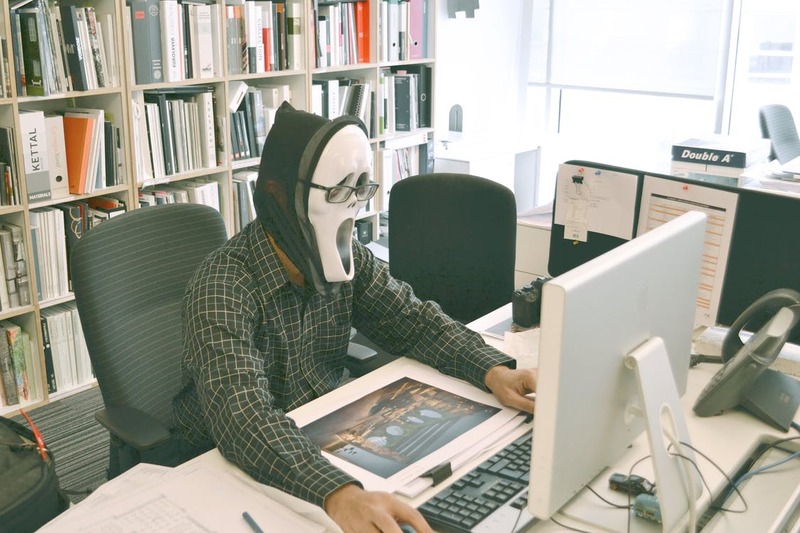 We should specify at this point that if you find that you have a few days to yourself in the office, whether it be with just a handful of your usual coworkers or even if the whole office is yours, it’s always a good idea to take advantage of the space and time in order to get as far ahead on work as you can manage. This is one of the few slow times you probably have at work, after all. It’s a good idea to catch up during these sorts of less stressful times in order to avoid times of high stress as much as possible. That being said, we don’t know your life. Maybe you really could use the break, in which case, take all the lazy time at work during these days as you feel entitled to. Just bear in mind that there might be consequences to getting behind on work during the holidays. We’re sure you’ll make whatever decision is right for you.